between the end of April and early October. Horse Racing is the second highest attended sport in the country and is a fabulous day or evening out with family and friends. …accompanied children aged 17 and under always get in free, so it is great value for a family outing! Event Summary: A family themed race meeting, with plenty of FREE children’s entertainments to enjoy. All races kindly sponsored by Byerley Stud. Event Summary: A new date for Salisbury Racecourse in 2019 to enjoy some evening racing, with all races kindly sponsored by William Hill. Event Summary: Traditionally one of Salisbury’s less busy race days, so with plenty of space to enjoy the facilities and to watch the exciting racing from. This event really needs no introduction as 2019 will be Salisbury Racecourse’s 17th Ladies’ Evening! This has become one of the most popular race meetings of the season with great racing and all sorts of fantastic prizes for the ‘Best Dressed Ladies’. A popular night when the evening racing is followed by The Best of Wham! This event is looking to be a top-seller – so there must be lots of Wham fans out there! The brilliant new show featuring the best of George, Andrew, Pepsi and Shirlie with sensational vocals, choreography, costumes and a live band. All races kindly sponsored by AJN Steelstock. This time next week, gates will be open! 1️⃣ week left to go until our Byerley Stud Season Opener 🏇🏻 Who will be first to stand on the winners podium? Make the most of your time at Salisbury Racecourse. Find out everything you need to know about going to the races including what to wear, where to watch, how to bet and some of the racing jargon. Salisbury Racecourse offers a wide range of food and drink options to suit every taste and budget. Our in-house catering team and catering partners use renowned local suppliers and the Racecourse has gained a reputation for first class catering. Entries will be available from approximately 3.00pm, five days prior to the meeting and declared horses, i.e. final runners will be available from approximately midday, two days prior to the meeting. Purchase raceday tickets, gift vouchers and special offers. 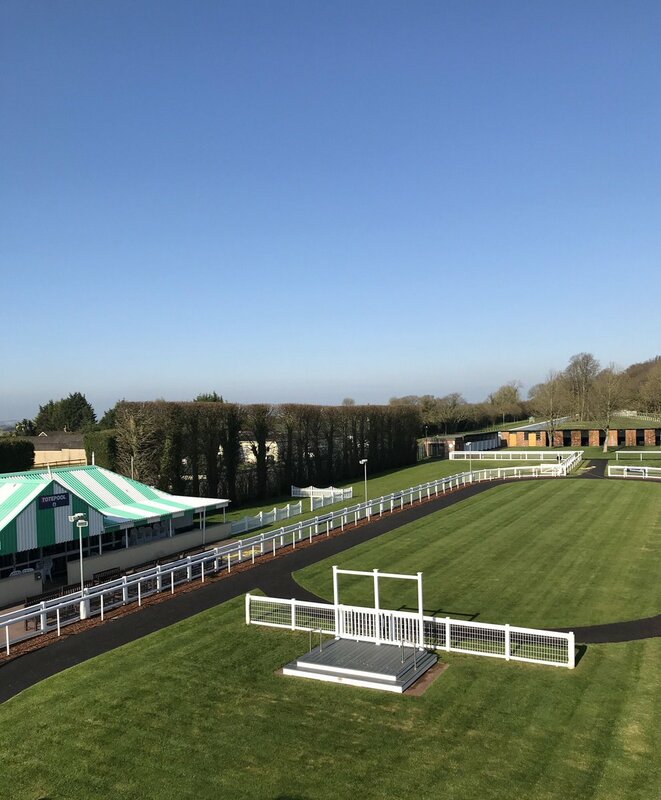 Network and entertain VIP guests – enjoy the thrill of live horseracing from your private suite balcony with panoramic views across the racecourse and far reaching views of Salisbury Cathedral and the Wiltshire landscape. Impress corporate guests, increase awareness and generate new business through a wide range of sponsorship benefits and advertising opportunities to complement your marketing objectives. When we are not racing, Salisbury Racecourse is the perfect venue for conferences, business meetings, private parties, and dinners, Christmas events and wedding receptions. Everything Owners and Trainers need to know about having a runner and coming to Salisbury Racecourse. Entries will be available from approximately 3.00pm, five days prior to the meeting and declared horses will be available from approximately midday, two days prior to the meeting.